The first book of my favorite series. It is such an amazing start to this magical series. The plot is so intricate and thought provoking. The characters are so dinamic and developed. All the characters have a specific relationship with one another and they all have a different and interesting personality. Ransom came up with such a wonderful idea for these books. Only good book in the series. Gets you hooked, and then the next books are terrible. I really like this book for a lot of reasons. One of which being that it always kept me on the edge of my seat and I didn't want to turn it off. I liked the fantasy aspect of it but with the fact that it could potential he be true in some weird way. There was also a lot of details in the theme about growing up as a teenager where you feel like everyone thinks you're crazy, except everyone actually does think you're crazy. It was almost like a New Age catcher in the Rye, where this young boy I was trying to discover himself in between not fitting in with his peers or his family and getting twists and turns thrown in his path and trying to figure out life. There was also a lot of aspects of mystery within the story where you weren't really sure which was the answer because there were so many misleading pads but then when the truth was revealed you are excited and looking forward to where this may lead next. I would use this book in my classroom as a coming-of-age book for older grades. I would also use this book for students who are interested in fantasy mystery and adventure. I would not use this book as a whole – class book because I do think that it's advanced and both concepts and in it's writing style. It also may be difficult for some surgeons to figure out how some of the plot twists in the book actually playing to the storyline because it moves pretty quickly. Overall though I think that this is a great book for adventurous readers who want to get a challenge in their reading structures, in themes and in concepts. I have to admit this one has been on the TBR pile for quite a while, but I finally ran out of time with the movie coming out September 30th. I was put off by the mixed reviews to the book, it seems to be a really love it or hate it type of story, and I had to many others to read that I knew would be more of a sure thing. I am happy that I read the book first, because even with just the previews out there, I can tell that Burton took quite a few liberties with the story. I am not going to say it was the most original story line. A bunch of kids that have weird abilities, finding refuge in a hidden house, with a mysterious protector, and all that falls apart when a new kids shows up to the party. They come in just short of tight body suits, and a giant X on their chest, they would be a Marvel property. That being said, I still like the story premise, and greatly enjoyed all the peculiarities (LOL) that Ransom put into his characters. The black and white photos that are peppered throughout the story, acting as the origin story for the characters, were a great gimmick, and helped to visualize some hard to describe elements for the readers. I tentatively enjoyed the time travel elements to the story, but I will withhold full judgement until I see how they continue to use it for next books. In limited amounts, I think that it should be ok, but if they start just rewriting history, then it will become a turn off. I liked the rest of the plot points, the relationship with the grandfather was done well, but the twist with Jacob could have been setup for a bigger splash. The ending was anti-climactic, and horribly predictable, but I am willing to forgive because of the direction it setup for the second book. Rating 3.5 stars – An interesting take on a familiar story type. 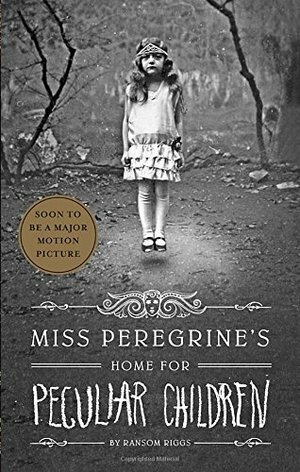 I can’t wait to see the movie that you can check out at http://www.foxmovies.com/movies/miss-peregrines-home-for-peculiar-children . Can’t wait to see what Eva Green can do after loving her on Penny Dreadful and 300: Rise of an Empire! See you at the theater, and remember THE BOOK IS ALWAYS BETTER!!! Very peculiar read. The pairing of the photographs is a very nice touch. Can't wait to start book 2. I wanted to like this book because the scraps of information I had upon beginning this novel were intriguing. I opened the book and was bored from page one. The narration was bland, the main character (whose name I have already forgotten) was bland and the twist on the world was bland. I finished the book because I wanted to know what happened in the 'epic climax,' and even then I could either guess what was coming or I wasn't surprised by it. In the end, this book bored me. It also frustrated me with its blatant simplicity and its trying (it tried so hard to work those antique photos into the plot that it started to read like fan fiction), I would not recommend this book unfortunately. When I first starting reading this book I hated it. I felt like it went by terribly slow, having no ending. Half way through the book I stopped reading it, going into a reading slump. Then I decided to give it one more chance. I read it on a 24 hour car ride and I loved it! I guess I just had to get past the beginning. It is definitely a unique book to read. The pictures are truly amazing too.